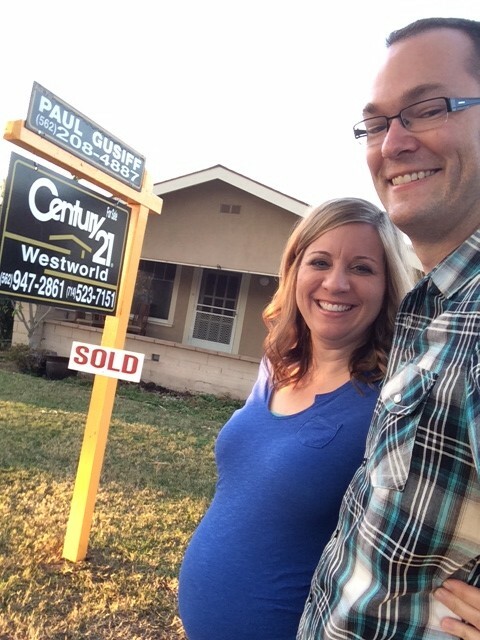 Escrow closed on the house a week ago, on February 7th. Two weeks after we first saw the place. Woo hoo! Trav put in a TON of work the week prior to closing, so he already had quotes and decisions made about who he’d work with to get the renovation started. I’m so proud of him and thankful for the way he’s making it all happen! 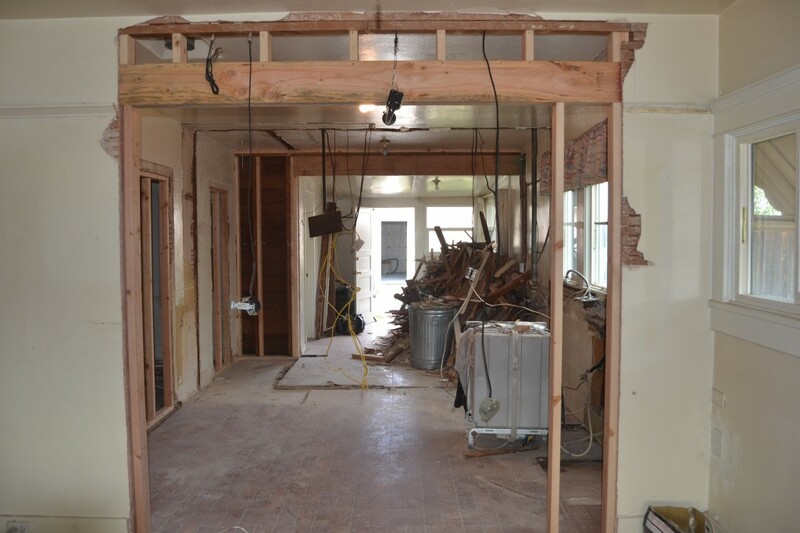 The same day escrow closed, demolition started. 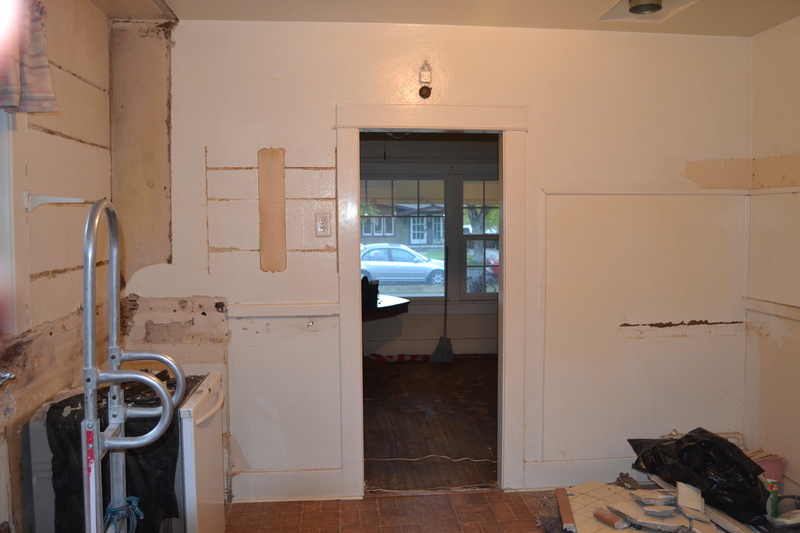 Which means we took a hot mess of a house and made it an even hotter mess. =) I keep asking the Lord to help my imagination stay strong, because I need to keep envisioning the end result. Otherwise, I start to panic a bit! Framing for the new walls happened the day after demo, so that’s helping us imagine what the new spaces will look like. 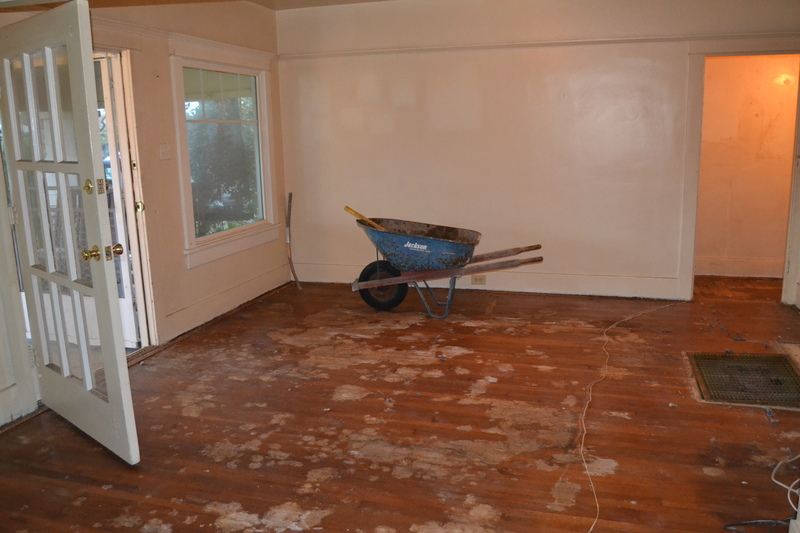 All the nasty carpet was removed, and underneath we found- nasty hardwood floors! =) I’m sure they were lovely in their day, but now they are covered in stains. We had high hopes of refinishing these floors, and we know that the stains could be removed. But our most recent decision after we considered the new floor plan is to put in new hardwoods throughout the whole house. …and then the whole wall went away! The kitchen is going to be ah-may-zing!!!! …and now it is wide open and lovely. It’s great, right?!? I love that it opens up all the living spaces, but they are still defined areas. 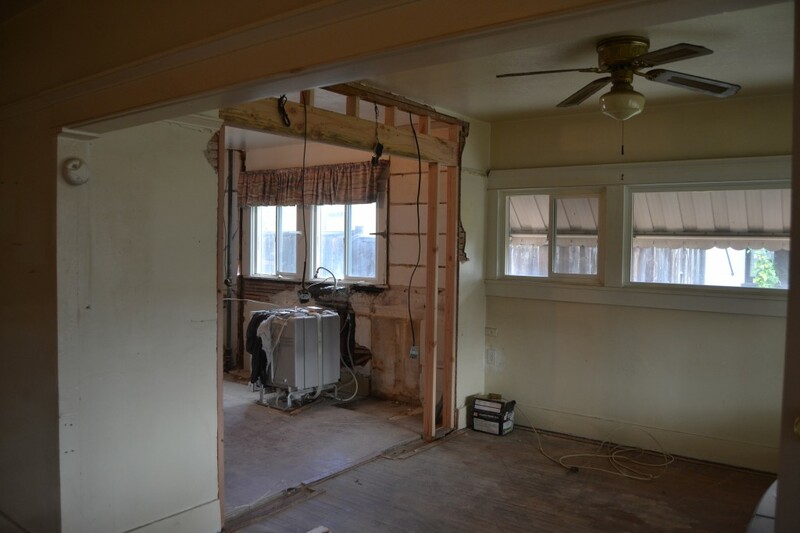 The doorways into the back bedroom and addition were framed in to create more wall space in both areas. I’ll show you what we’re doing in those rooms in a future post. It’s basically a master bedroom suite, and it will be started later this summer. 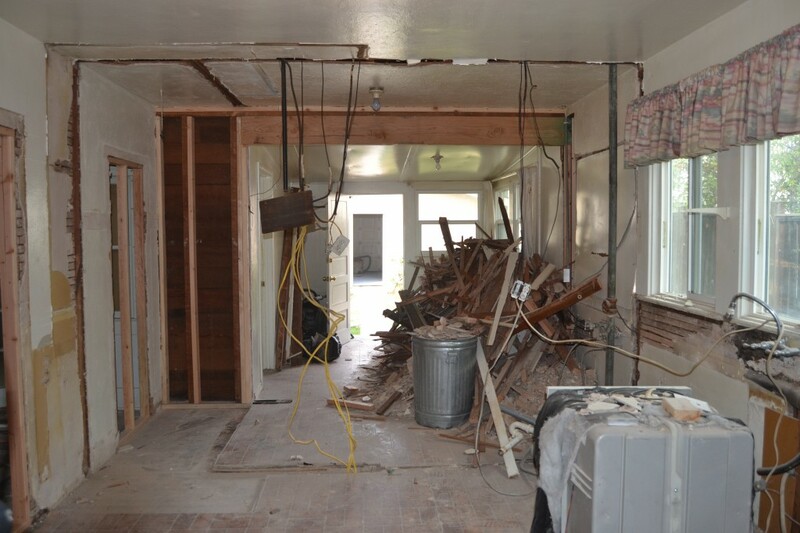 The bedrooms and bathrooms were gutted as well, but I seem to have forgotten to take pictures. I’ll do a separate post for that section of the house. The electrician and plumber have already been at work this week, so drywall should start at the end of next week. Keep praying for us- we need God’s help in all of the decisions we’re making! As a huge fan of HGTV I loved visiting your house imagining how great it’s going to look down the line. The house has wonderful light quality which will change with the seasons. 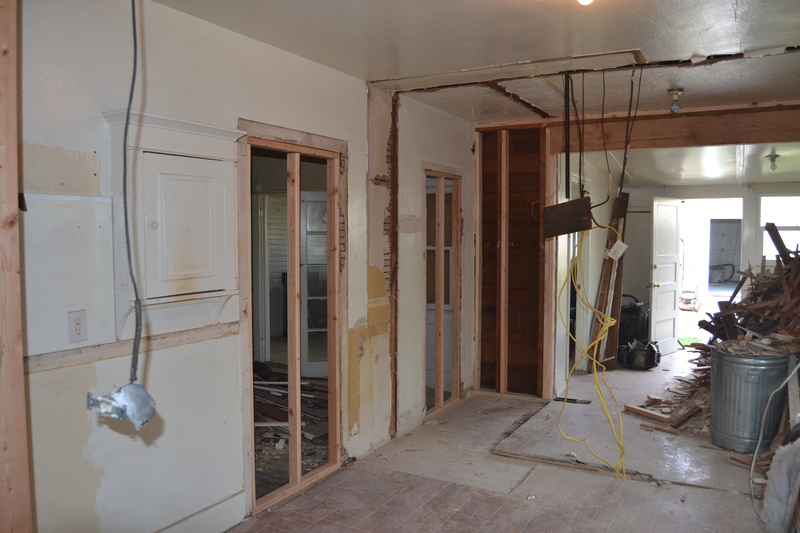 Luckily you aren’t living there while all this renovation is going on! I’m so glad you got to come by, Ann! Love it all! So funny that the kitchen valance (with the mismatched pattern!!) is still hanging there over it all. Too bad about the floors. Wow, just wow! 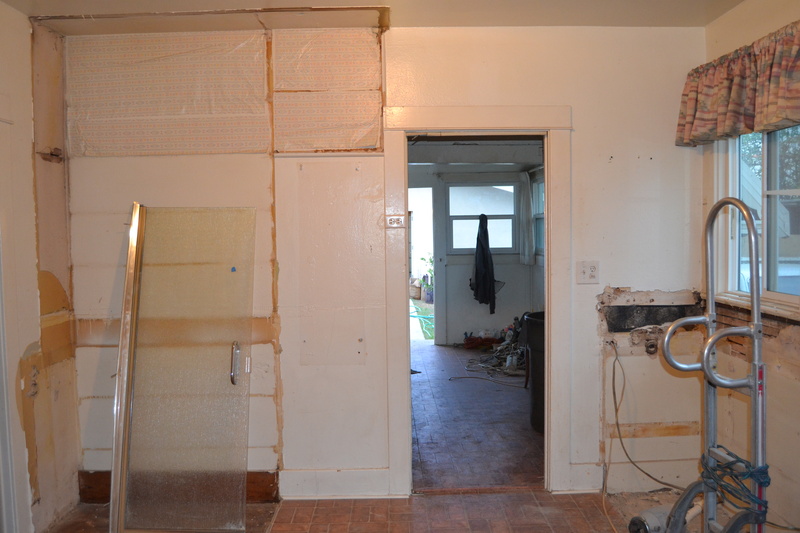 That kitchen is going to be Ah-Mazing!!! It looks so much bigger! 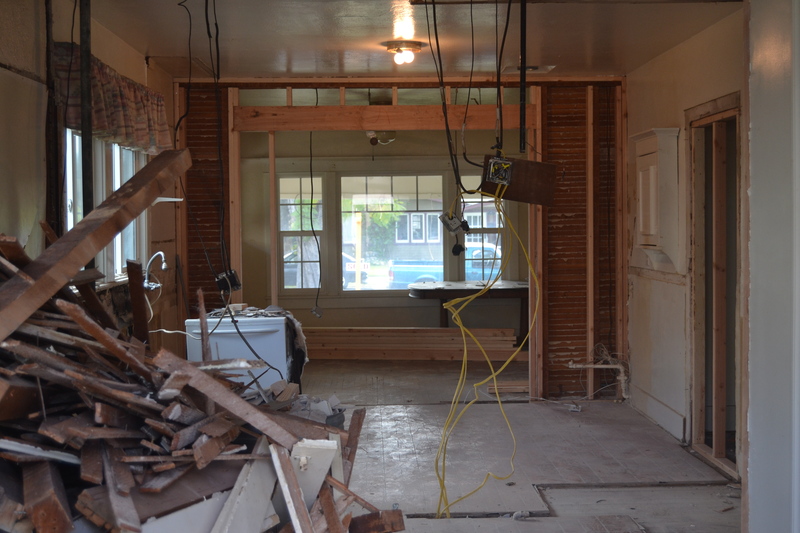 Remodeling is always stressful but once you’re done you’re glad you did it. Hang in there.